This was originally a newspaper column—published in The Stokes News on Thu., Feb. 15, 2018, while the 2018 Winter Olympics were going on. Since the newspaper website has been notorious in the past for destroying links to published articles, I archive the columns I write on my blog, so as to ensure they are preserved for posterity. When ole Ben Franklin said, “Early to bed, early to rise makes a man healthy, wealthy and wise,” he clearly lived in a pre-Olympics era. How could I possibly have gone to bed early when Shaun White’s snowboarding didn’t even come on TV until after 11 p.m.? I had waited for this moment since White’s disappointing fourth-place finish in Sochi, and I’m supposed to go to bed with the chickens? I think not, Mr. Franklin. So there I sat typing this column at 1 a.m. on Tue., Feb. 13, having just watched Shaun do an eye-popping 98.50 halfpipe snowboarding run in the mere qualifying rounds. I marveled, “What on earth will the former Flying Tomato (he’s not so into that moniker anymore) bring us in the actual medal rounds?” I knew I would be watching, regardless of Mr. Franklin’s admonitions to avoid late nights. Hey, it’s only once every four years. Shaun White will be 35 when the Winter Games go to Beijing in 2022—positively ancient in this new snowboarding world of 17-year-olds. I’m thinking carpe diem applies right now. Yes, I seize the day during every Olympics, both winter and summer. Those stellar athletes go for the gusto by competing at the Games, and I go for the gusto by staying up late to watch them. It’s the least I can do. I trust you dear readers also enjoyed the Winter Games. Do any of you get as nervous as I do during figure skating? As my daughter Chelsea says, figure skating is the winter equivalent of the gymnastics balance beam competition in the Summer Games. We hold our breath with every triple axel, clench our teeth with the couple’s competition lifts, experience rapid heartbeat during a quad lutz. Yet we continue to put ourselves through this exquisite torture with every Winter Games. Our stomach muscles tighten when adorable little Red Gerard comes up on his last run down the snowboard slope after having blown his first two chances. They only unclench when he has a clean run, wowing us with his explosion from last place to first. We probably haven’t used those terms since 2014, and we won’t use them again until 2022, but right now we feel very accomplished when we toss them around. By 2020, the terms will change, adapting to the Summer Games. we won’t remember what Shaun White’s signature halfpipe move is called (the Double McTwist 1260), but we’ll be comfortable talking about a double layout half during the gymnastics floor exercise or a Khorkina on the vault. You can tell I focus on the more popular events such as snowboarding and figure skating. But I live with a hubster and a son who both are fascinated with the Olympic event of curling. The only curling I care about is what my stylist Molly does to my hair when I have a big event coming up. The curling my fellows watch looks to me like people using a broom to sweep some rocks over the ice to some circles. I’d rather watch the second hand go around my clock, but hey, different strokes for different folks. Those sweeping strokes of curling were actually part of the first-ever Winter Games in 1924, although that sport didn’t become official Olympics fare until 1998. My Scottish ancestors very probably played this game of curling on the old paths. I read that a good Scottish wife of yore might even display her husband’s brass curling stone handle on the family’s mantel. I reckon I would be a better wife if I would just sit down with my husband to watch this curling he is so enamored of. But can I help it if I’d rather watch speed skaters zooming around the track? I loved speed skating long before Apolo Ohno came along, although he did indeed heighten my interest. Do you feel the tension (I sure do!) as a speed skating race nears the final lap and you wonder if one tiny brush of one skate against another will send an aspiring gold medallist flying across the ice as the others race to the finish line? Do you ever wonder why we subject ourselves to such pressure night after night as the games unfold and the medals are claimed? Then I shake myself and realize that the pressure I feel on my comfy couch as I munch Cajun-flavored trail mix in front my big Roku TV in my cozy home is minuscule compared to what the athletes themselves must be feeling. My mind reels with the wonder of how these Olympians have packed up their normal lives in packages to be opened later in exchange for years of enduring rigorous training for the hope of one shining moment. And only one will get the gold. The silver and bronze—prestigious though they are—fade into the background on that podium as the national anthem of the gold medallist begins to play. And for that one shining moment indeed, he/she who stands highest knows that he/she is at the pinnacle of the planet—the acknowledged best in the world…..if only until the next competition. So we watch and we cheer and we groan and we gasp as we live vicariously through she who lands the triple lutz on the ice…..through he who remains upright after a quadruple cork on the halfpipe……and yes, even through those who sweep that rock into that middle circle in that sport which has no association with what my hot-rollers do to my hair. And if we have to stay up past midnight to watch it all? Well, so be it! We’ll sleep when the Games are done. Take that, Ben Franklin! **This was originally published in a similar form in The Stokes News on March 21, 2013. When the publishers changed websites a few years back, all links to archived articles were tragically lost. I am attempting to republish in my blog all of my columns that once appeared in the newspaper. I have updated this column to reflect life in 2016. I have always told people that June was my favorite month. Yes, yes, I’m biased because June is my birth month. But I’m wondering if I might have to change my favorite month to March. With the madness of March, you wouldn’t think it appeals to me, but it does. The term “March Madness” is technically a reference to the intensity of the NCAA basketball tournament and the conference tournaments that lead into it. But the phrase also pretty much sums up my life in March for the past several years. Perhaps it has something to do with the fact that Easter comes in March this year. Most of us identify Easter with April, but every so often it hits in late March. That makes for a much busier month. My son Elijah batting for the Twins adult baseball team in 2015. Let’s throw something else into the mix—Daylight Saving Time. On the old paths, DST started the first Sunday in April. But the U.S. government passed an energy bill in 2005 which changed all of that. Since 2007, DST has begun the second Sunday in March. So just when we need that extra energy—to start running the kids to baseball, softball and soccer practices; to fill out our tournament brackets and get pumped over “one-and-done” basketball games; to start dying ye old Easter eggs and plan the family Easter gathering—we are zapped, slammed, run over by a time truck that took an hour of our sleep. But lest we become despondent, let’s look at the joy that is March. The energy-sapping time change has given us more time in the evening after work to throw ball with the kids, start tilling up the garden spot, sit out on the porch and feast our eyes on the forsythia. Then there’s St. Patrick’s Day—a holiday I am particularly partial to, given my love for Ireland and for St. Patrick, that phenomenal man of God who evangelized the Emerald Isle. We don the springlike green clothing and playfully pinch party-poopers who refuse the wearin’ o’ the green. We eat corned beef and cabbage followed by doughnuts or cookies decorated with green icing. Some drink green beer and Irish dance in parades and Celtic festivals. My kids and I at our 2014 March 4-H meeting! And if that’s not enough joy for you, there’s that most excellent and bodacious day of the year—the vernal equinox. Before you wrinkle your brow, let’s put it in simpler terms—THE FIRST DAY OF SPRING! I would lobby to make this a government holiday and give everyone the day off. We should celebrate the day we cross the line into more light than darkness. “Equinox” is the word for the day of the year that the periods of daylight and dark are equal. “Ver” is the Latin word for spring, so we arrive at the “vernal equinox” when hours of light begin to outnumber the dark…..until the autumnal equinox in September. We should all wake up rejoicing on this day—the cold winter has ended, buds are sighted on the trees, early flowers are blooming, days are steadily warmer on the average. We need a day off to drink in this nectar of nature’s new life, to sip this ambrosia of nodding yellow daffodils and cheerful red tulips, to lap up every last morsel of morning birdsong and evening peeper sounds from the creek. And this year, we get the added bonus of Easter in this manic month of March—a celebration of spiritual resurrection paralleling nature’s resurrection. In the midst of it all, we figuratively hold our breaths for the beauty that is to come: azaleas, redbud trees, dogwoods, lilacs and more. No wonder I have spring fever all winter long! Yep, March is closing in on June as my favorite month. I could do without the chilly gales and blustery breezes, but there’s much else to be thankful for. No matter how busy this manic March finds you—watching basketball, perfecting the Easter cantata, practicing baseball—don’t forget to get out into the woods and imbibe the essence of spring before it’s gone. **This was originally published in a similar form in The Stokes News on February 28, 2008. When the publishers changed websites a few years back, all links to archived articles were tragically lost. I am attempting to republish in my blog all of my columns that once appeared in the newspaper. Although much of this info is dated by now, there are still universal truths to be gained by reading it. If you’re like me, you’re starting to notice the days getting longer and some daffodils prematurely pushing up through February’s hard ground. I actually saw a bird taking a bath in my birdbath today and nearly freaked out; I’ve never seen one do that in the 14 years we’ve lived here! And when I parked behind London Elementary School a few evenings ago, I heard croaking down at the creek—do they call them “peepers” maybe? The sound made me long for spring which is indeed right around the corner. Signs everywhere are pointing to my favorite season! My favorite-ever “American Idol” David Cook was on the show in 2008 when this column was originally published. Another excellent way of beating the late winter blahs is to have friends and/or family TV sessions to watch ACC basketball. It’s not quite as much fun as the World Series or football season was in my den, but it’s much better than watching “The Weather Channel” 24/7. (Then again, maybe not. How I love that weather stuff!) Somehow I have failed in my job as a mother—the fruit of my labors having produced two Carolina fans. It makes for interesting times when the Duke or NC State fans in our family get riled up. It’s a pretty even split around here. However, my favorite way to attack those winter blahs is to get out into the community and be active. I enjoyed seeing so many of you at the South Stokes basketball games. And I must confess I was always disappointed during the varsity games. That gym should’ve been packed out instead of half-empty! “I don’t have anyone playing on the teams,” you may say. Neither did I. Neither did Margie Dunlap or Carol Wiles. Horace and Brenda Boles stayed long after their granddaughter finished playing. Don and Nancy Lester could be counted on to hang around way past the time their relative played. The point is that it was great fun to watch, whether or not you had anyone playing. The sense of community unity was heartening as all races, creeds and genders pulled together for the common goal—a Saura victory. For many years, my kids and I missed very few ballgames at my alma mater, South Stokes High! I found the same camaraderie in London Gym this winter. How encouraged I was to be forced to stand at the door one night last week because the bleachers were jam-packed full! All to watch eight- and nine-year-olds play. That’s the spirit! Even the little kids’ games are exciting at London Gym! And it’s free until tournament time. These kids are the future of our town, our county, our world. Watching them learn to play as a team, to be gracious in victory or loss, to compete with as much determination as Alan Iverson or Tim Duncan—this warms the heart, chasing away winter’s chill. And I doubt Iverson or Duncan goes running into Grandma’s arms after the game or high-fives Grandpa to be congratulated on the lay-up that finally went in! I’d rather be in London Gym during tournament week than at an NBA arena. And it’s not just boys. Girls play, too! I sat in that gym a lot this winter, often contemplating its rich history. I thought of the marvelous teams London High School must have had back in the day. Not discounting those incredible teams I have heard tell of, I was nonetheless encouraged now to see children of all races playing together on that floor. What a different world our children are growing up in—not perfect by any means, but coming along slowly but surely in the area of race relations. Yes, I still get a chill when I hear the part of Dr. Martin Luther King Jr.’s speech that says, “I have a dream that one day. . .little black boys and black girls will be able to join hands with little white boys and white girls as sisters and brothers.” Perhaps I am privileged enough to be able to see the dawning of that day, even on basketball courts in crowded gyms. Children of different races play together at London Gym—something that would have been unheard of even 50 years ago. So how are your winter blahs now? Mine are rapidly disappearing in the warmth of what I’ve experienced this winter. Next year, take my advice and experience community unity with me. Support the children who will one day be your doctors, nurses, teachers, firefighters, accountants, etc. Basketball may be almost over, but early season baseball is just around the bend. Put on your earmuffs and scarves, grab the blanket and get out of the house. You’ll soon find that the winter blahs are old news and that spring has sprung once more. Tournament season in the Walnut Cove Youth Basketball League starts this coming Saturday, February 27, 2016. Come watch these kids play; I promise you won’t be disappointed. We had a nail-biter there just last night! A Day With Dustin Ackley–Carolina’s Shooting Star! **I wrote this article for The Stokes News in the spring of 2007 when I was just a contributing writer–before my days as editor. 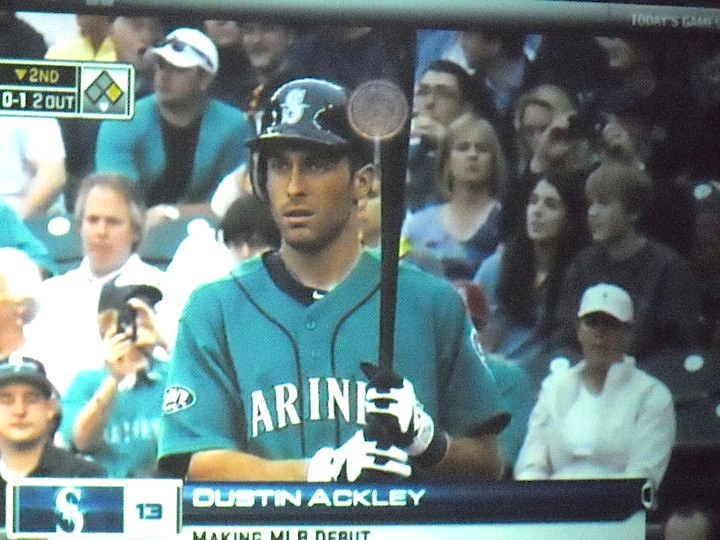 Now that Dustin Ackley has recently been traded to the New York Yankees–my favorite team–from the Seattle Mariners, I thought I would pull this old article from my archives. I remember with fondness the day I traveled to my alma mater in Chapel Hill to spend some time interviewing our hometown boy, Dusty, on the beautiful Carolina campus. Hope you enjoy what I wrote! Me with Dusty at Carolina–my mouth open to talk as usual! I had joked for years that if I wore a Carolina cap, my head might rot off. Then, doggone it, two of my children’s basketball teams had Carolina Blue uniforms this winter. I wore a Carolina cap AND sweatshirt to one of their games and emerged, four quarters later, healthy and whole. So with no fear of head-rot, I donned the cap again and headed down to Chapel Hill last week, stepping onto the campus for the first time in 25 years. After I left “Blue Heaven” a quarter of a century ago, I intended to go back to visit. I thought I might take in a baseball game at Boshamer Stadium where I had been a bat girl for the Tar Heel team. My good intentions never bore fruit. . .until I heard the local buzz. One of Walnut Cove’s own, one of our elite Saura starting nine from state championship days, was taking the ACC by storm as a starting freshman for the nationally ranked UNC team. It all began on a Sunday afternoon when my daddy asked, “Bess, whatcha hear about that Ackley boy down at Carolina? They say he’s really hot.” Curiosity drove me straight to the Internet, thinking that if I punched in his name—“Dustin Ackley”—I might get a few references. I didn’t expect 586 of them! As I hopped from website to website, my excitement mounted. We should be riding through town with a loudspeaker telling the news! This kid was a phenomenon, not only in the ACC but also in the entire nation! After he became such a star in college, Dusty’s cousin, Amber (seen here with him), and I collaborated to plan a big “Welcome Home” celebration for him at Lions Park in Walnut Cove, where he grew up playing ball. It was a big deal and lots of fun! I had heard that Ackley was signed by Carolina last year after being ranked the number four NC prospect by Impact Baseball. I knew he was named to the pre- and postseason Louisville Slugger All-American team as a high school senior. I remember well when he was voted 1-A conference player of the year while just a junior at South Stokes. But what I was reading now was the stuff of dreams. Ackley was named ACC Player of the Week two times in a row in March—the first week batting .667 with a three-game stint where he went 11 for 12 at the plate, the second week batting .500 with nine RBI’s and two home runs. Highest overall batting average (.489) in the ACC and second-highest in the nation! ACC RBI leader. Number one in seven different Tar Heel offensive categories. The accolades seemed endless. And to top it all off, like a luscious mountain of whipped cream, was a hitting streak that had already smashed Carolina’s rookie record! At that time, Ackley’s hot bat had sizzled out a hit in 19 straight games. This “lowly” freshman who could be found helping other rookies clean the dugout after each home game was riding the crest of a monster wave. I was hooked, “pert near” obsessed. With no cable TV, I was forced to listen to Carolina games on the Internet. I did my chores with the play-by-play description in the background. One day Ackley hit a grand slam to add to his home run tally, which was already among the league leaders. Often he would get a hit in his first at bat, saving me from undue stress about this hitting streak. With each hit to keep the streak going, my 16-year-old baseball-freak daughter and I would jump up and yell in jubilation. Who cared about Barry Bonds and his pursuit of Hank Aaron? We had a local boy taking us for a pretty exciting ride! Finally, I could stand it no longer—hence, my trip to Chapel Hill. I rationalized that I had been planning to go anyway to research Walnut Cove history at UNC’s Wilson Library. 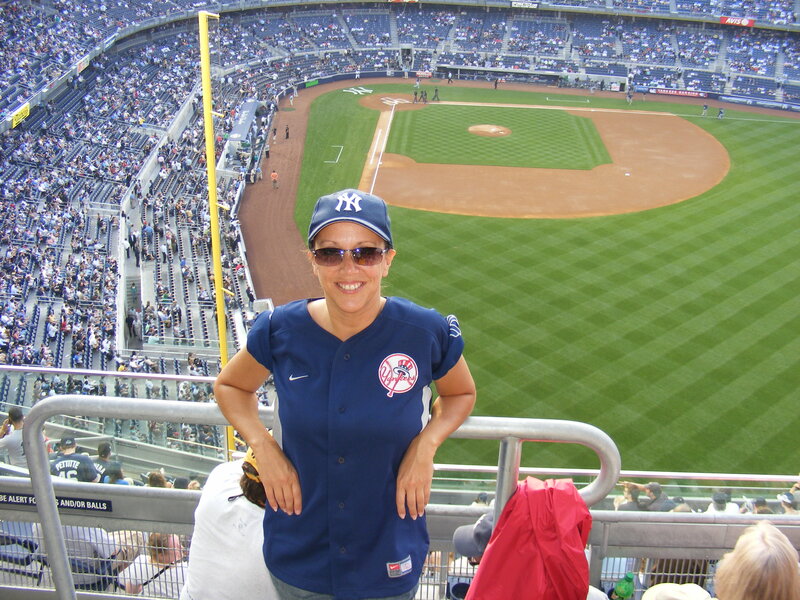 With the prohibitive cost of gas, why not throw in a baseball game for economy’s sake? (It sounded noble and did indeed convince my family!) So on a gorgeously sunny Tuesday, I found myself on ground that some consider hallowed. There I stood in “The Pit,” looking for Dustin Ackley who had graciously agreed to meet me for an interview. I hadn’t seen him since last summer when I watched him swat homer after homer for the Walnut Cove Senior League team. There he was, wearing a St. Louis Cardinals’ hat—his favorite pro baseball team—looking quite different from the toddler I had seen holding onto his mom at the library’s summer reading program many years ago. As I shook his hand, I made a mental note to try to call him “Dustin” instead of the “Dusty” I had always known him by—just in case this meteoric rise to fame had formalized things a little. 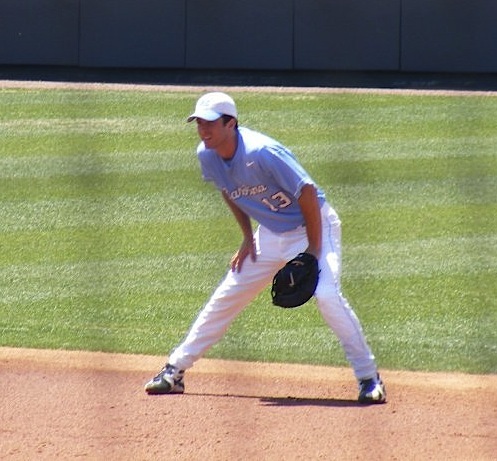 Dusty indeed played first base at Carolina. My family and I enjoyed watching him play for 3 years there. Dusty ended up starting at 2nd base in the Major Leagues. 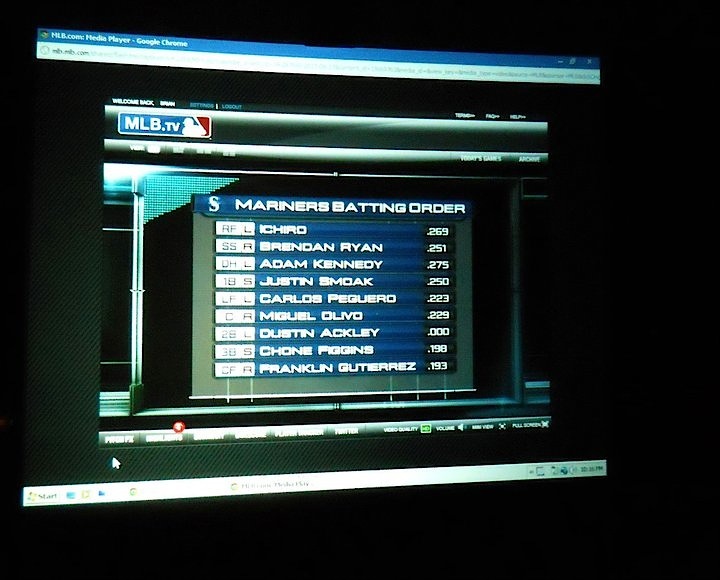 Here is the lineup for his MLB debut. I organized a viewing party for local fans in the South Stokes High School auditorium on this memorable night. He ended up being drafted by the Seattle Mariners in June 2009 and made his MLB debut on June 17, 2011. Here is his first at-bat. We had quite a crowd–including many of his family members–watching together at Dusty’s old high school. You should’ve seen us erupt when he got a hit in that first time at the plate! But my dream came true when he was traded to my favorite team, the New York Yankees, in July 2015! With the then 26-game hitting streak making headlines, I was curious if it weighed heavily on his mind. “No one mentioned it much until about 20 games,” Ackley replied. “But now it’s hard not to think about it.” Could he tell me the secret to his hitting success? He laughed, “A little luck maybe.” When I scoffed at that, saying that luck can’t possibly explain such phenomenal hitting statistics over so many years, he admitted that he had always been a pretty good hitter but had never hired a hitting coach or spent more than the normal amount of hours at batting centers. Ackley credited his dad with having been a good influence and teacher but never one of those overbearing baseball dads determined to live out his dreams through his son. A left-handed batter, Ackley often gets his hits by swinging at the first or second pitch. Sitting at the Carolina Student Union in the April sun, Ackley and I talked of summer plans. He has been invited to play in the prestigious Cape Cod Summer League, a rare rookie honor, and may even be eligible for USA Baseball. At this point, things are still up in the air. There’s even a possibility Ackley may come home to Walnut Cove to rest the elbow in hopes of total healing. Mentioning the elbow injury brought me to the inevitable question: how was the shoulder that he had injured by sliding headfirst into third up at Boston College the previous weekend? I had been listening to the game as the announcers oohed and aahed over Ackley’s incredible base running as he stretched a single into a triple with the headfirst slide, while the ball went home in an unsuccessful attempt to get another runner. He felt nothing that day but woke up the next morning to incredible pain in his right shoulder—his throwing arm. To keep his blazing bat in the lineup, Ackley started the very next day as the designated hitter and felt no real hindrance from the injury, going 1-for-3 at the plate. I had the opportunity to see the streak continue that night as the Tar Heels took on UNC-Charlotte. Again, Ackley put me out of my misery by ripping a single to right on his first trip to the plate. I jumped up screaming, giving the thumbs up to Ackley’s grandpa, Gray Wall, who was on his feet with a Texas-sized grin on his face. 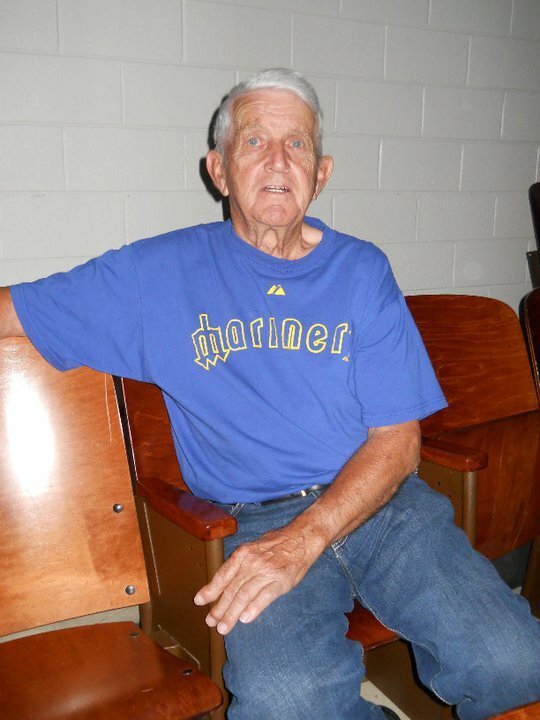 Dusty’s grandpa, Gray Wall, has followed his baseball career since Dusty was a tiny boy. Our hometown hero added a few cherries to the whipped cream by getting a couple more hits, batting .750 on the night. Ackley now had the third-longest hitting streak in Carolina history. I couldn’t get enough. I persuaded my parents to drive back down with me just three days later as the Heels played those despised Duke Blue Devils. It took no persuasion to get two of my children into the car. My son Elijah and I watching Dusty play at Carolina. 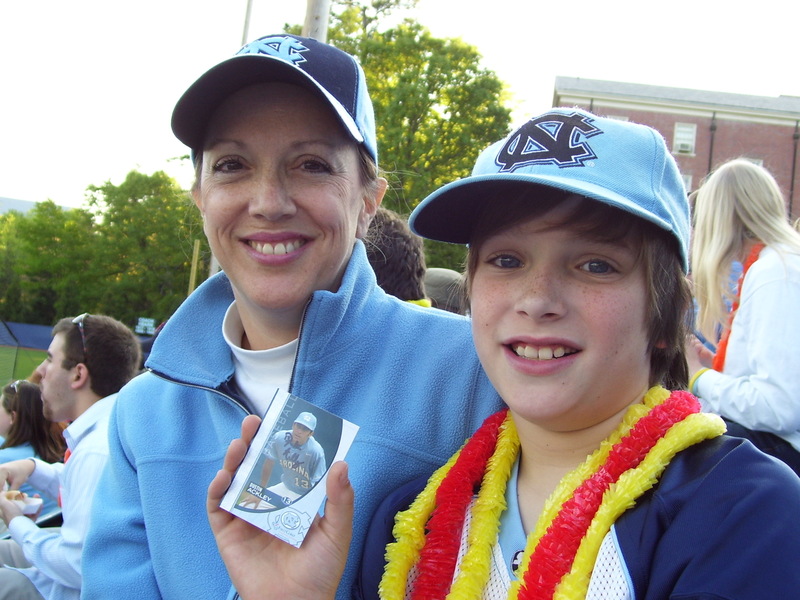 My 11-year old son is a rabid Tar Heel fan who sat in ecstasy at the game, holding an autographed copy of Dustin Ackley’s rookie trading card. Even my dad was on his feet when Ackley, mercifully in the first inning again, extended the hitting streak to 28 games, tantalizingly close to the record of 31. With 39 games down and 18 to go, the Heels travel to Florida State this weekend to take on the Seminoles who are first in the ACC and ranked by USA Today as number two in the nation, just one spot ahead of the Heels. Baseball America has the teams reversed, ranking UNC number two and Florida State, number three. 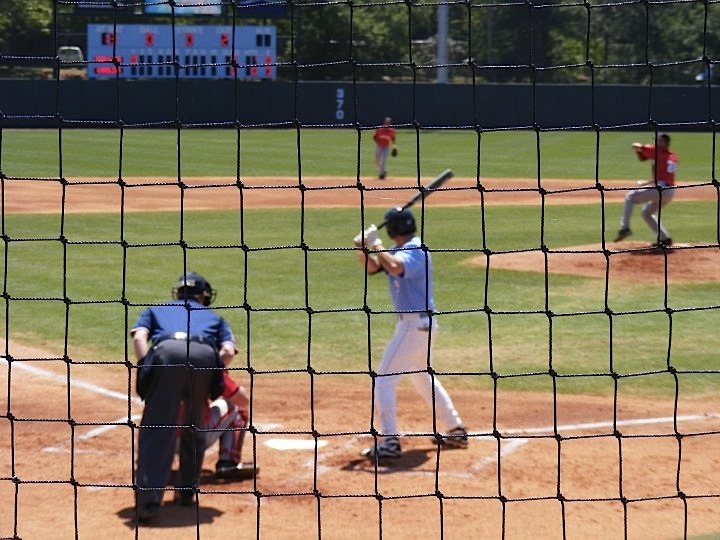 Ackley’s streak was snapped this past Saturday as the Tar Heels lost to Duke in the first game of a doubleheader, but he was unfazed as he went 2-for-4 in the second game, back in the field for the first time since his injury. The campus newspaper, The Daily Tarheel, called him “Mighty Ackley at the Bat.” His teammates nicknamed him “Roy Hobbs,” a la Robert Redford in “The Natural,” leading the Charlotte Observer to dub him “Wonder Boy.” But despite all the attention, you’ll find he’s still just “Dusty”—genuinely humble about his success. He didn’t even tell his mother when he was ACC Player of the Week; she had to hear it through the grapevine. Dustin Ackley, Carolina’s shooting star, just wants to do what he’s done for as long he can remember—play baseball. On the June 2009 day that Dusty was drafted 2nd in the 1st round of the MLB draft, I started out the day in NYC where I had just seen the Yankees (his current team) play the night before. While on the tour bus there, I got a cell phone call from Dusty’s mom who just wanted to say she needed “a Leslie hug” on this momentous day. I was so touched. 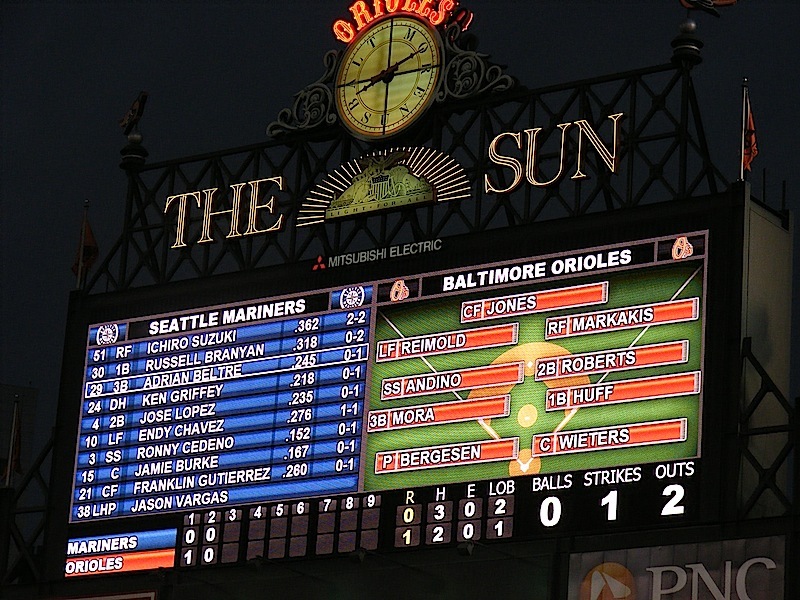 That very night, I was in Baltimore watching the Seattle Mariners play the Orioles at the time that Dusy was drafted by the Mariners. I always felt that was a very special moment for me.